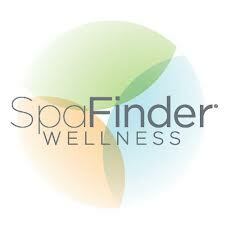 THE MARTINI CHRONICLES: SpaFinder Wellness Week 2013! Divas and Gents, it's that time of year again! Wellness Week 2013 begins in just one week! For those of you who don't know, Wellness Week is your chance to improve the way you look and feel with exclusive spa treatments and wellness offerings at discounted prices (some 50% off!). You can choose from a variety of services, including massages, private training, laser hair removal, and teeth whitening. Also, Wellness Week is a great opportunity for you to take a step back and evaluate how you are taking care of yourself; sought of a health check for your body. Wellness Week will take place at hundreds of spas, yoga, Pilates and fitness studios and wellness centers across the country. 7. Give yourself the gift of silence. We work hard every day, and a little pampering at half the price is definitely welcomed. Oh...if you head over to the website now, there's an offer for a $25 Wellness Week Bonus card. In the spirit of sharing....!!! It's very simple to find out any topic on web as compared to textbooks, as I found this article at this web page.